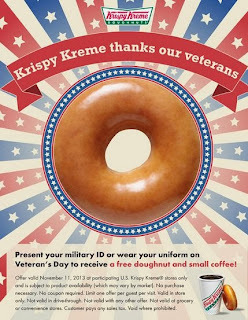 Hey Veteran's go get a free Krispy Kreme doughnut & a free small coffee. Click the link below to go to the Krispy Kreme website to locate a Krispy Kreme near you. Happy Veteran's Day 2013.